How sweet it is! 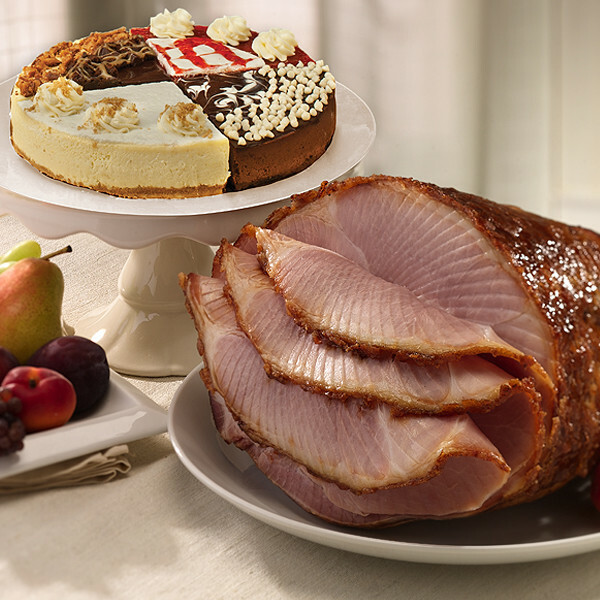 The main course is our tender seven pound HoneyBaked Ham followed by a luxurious array of desserts. Our irresistible Triple Chocolate, Turtle, Raspberry and Creamy Cheesecake Creation serves 8 - 12 people.